Sue Neill-Fraser could be freed … IF … a hypothetical by legal academic Dr Bob Moles*. As already reported in these pages, it is likely that the Sue Neill-Fraser conviction may take months or even a year or two to get overturned. Of course there is no doubt at all that it will be overturned. Whilst the issue of Meaghan Vass’ DNA may well be the subject of furious claims and counter-claims, what cannot be doubted is that Neill-Fraser did not get a fair trial. 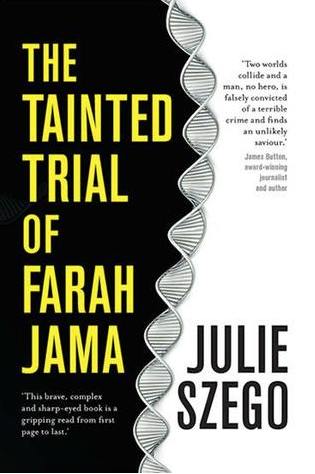 It was tainted by the admission of inadmissible forensic science evidence at trial. The Luminol test results indicating the presence of blood were not backed up by confirmatory tests and so were inadmissible. The prosecutorial statements about the inferences which could be drawn from the injuries that Mr Chappell “would have had” (Ed: thanks to the wrench imagined by the prosecutor) were also inadmissible as based upon no evidence of injuries at all. The directions by the trial judge about excluding accident, suicide and third party involvement were also misleading, not being properly based upon any admissible evidence. When error has occurred at trial the test to be applied by the appellate court is whether, without the error, the conviction would nevertheless have been “inevitable”. Clearly in this case it would not have been. Therefore, based solely upon the errors clearly ascertainable from the transcript of the trial the conviction must be set aside. Of course all of those issues are ‘live’ issues once leave has been granted. The court can consider any evidence which tends to show there has been ‘a substantial miscarriage of justice’. That was it – an appeal judgment consisting of a single sentence and Mr Jamah was free to go home. The same could be done in the Sue Neill-Fraser case. 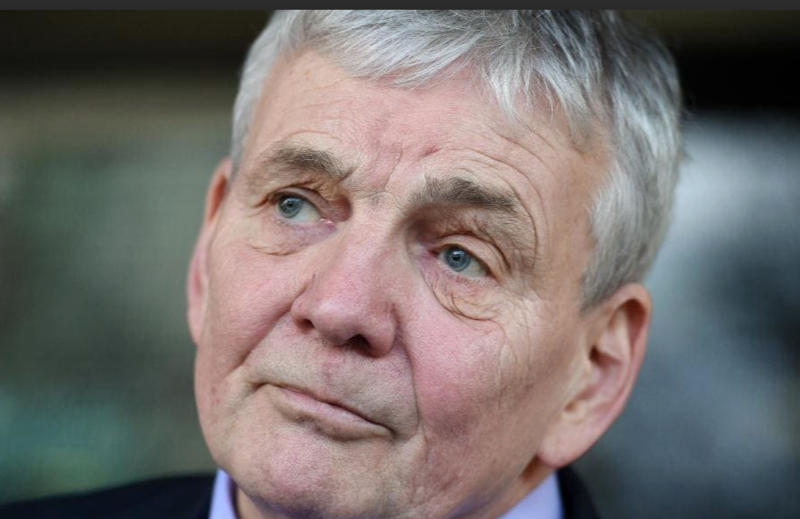 The only thing preventing that from happening is the unwillingness of the prosecution to exercise their powers with proper regard to their code of conduct and the plight of a wrongly convicted person – as Mr B. Sonnet (counsel for the Crown) did in Victoria. My hope is that in due course the prosecutors in Tasmania will be made accountable for this lamentable failure to exercise their powers in accordance with the great responsibility which has been entrusted to them. ED: Another way of putting it is that the DPP’s office has an opportunity to recover some of the respect it has lost in prosecuting this case unworthy of the cause of justice. It’s a moral issue, really, and human decency. Or will it stick to its “lamentable failure to exercise their powers in accordance with the great responsibility which has been entrusted to them,” as Dr Moles puts it. Moles should not be saying “…of course there is no doubt at all that it will be overturned”. There is doubt. This whole matter is frightening. Moles says Neill-Fraser did not get a fair trial. Is that an opinion? Those, Blow, Ellis, & jury who believed Sue was guilty also believed Sue had a fair trial and possibly still do. The big question is: Will Meghan Vass’ testimony/affidavit save Sue. It should. Another question is: Does Ellis still believe he got the case right. This case is not being treated with the urgency it deserves. The loss of face subsequent to Sue’s release will be significant. They cared little for Sue when gaoling her. Do they care about her now. For the record: I believe Sue is innocent. 1 Sue was arrested just shortly after she complained to the authorities about the way the investigation was being handled. 2 Barbara Zochling, who had seen – not Sue – but Bob’s sister ‘arguing’ with Bob, was arrested on the order of the trial judge, after she’d attempted to advise (via Ellis the DPP) that she could not identify Sue as being the one she’d seen arguing with Bob … and thus she had thought that she wouldn’t be required at court. She was locked up for ‘non-attendance’. 3 Stephen Gleeson, the homeless man who was on the scene on that night, arrested, charged and browbeaten into a guilty plea, on the basis of once having said something to the police that was not correct. 4 Karen Keefe, who had attempted to get Meaghan Vass to say/admit that she’d been on the boat, was arrested and charged with attempting to pervert the course of justice, or some such thing. 5 Jeff Thompson, lawyer, trying to facilitate the Vass admission, was arrested and similarly charged. 6 Eve Ash, who had produced the ground-breaking ‘Shadow of Doubt’ documentary was raided by the mainland police – at the request of TasPol and numerous materials were seized from the office/s where her docs, recordings, films et al. were kept. 7 Colin McLaren went overseas to avoid similar harassment and to finish work on his ‘Southern Justice’ – so that it could be published without TasPol seizing his materials/arresting him/preventing publication. 8 Barbara Etter, who after Sue’s guilty verdict became her first pro bono lawyer and who uncovered much material not found by the police … was then pursued by Tasmania’s Law Society and prevented from further practice. 9 Meaghan Vass herself is being subjected to ongoing harassment from the Tasmanian police – for what reason? Surely they are not trying to prevent her from giving evidence at the forthcoming appeal? It is a welcome thing that through a variety of media outlets on the mainland, people across Australia are realising that justice went wrong at Susan Neill-Fraser’s trial. Australians are realising the guilty verdict could not have happened had the jury heard all the evidence that has subsequently come out during the leave-for-2nd-appeal application. Indeed, had the jury had the benefit of seeing Meaghan Vass tell the cameras that she was on the Four Winds, that she saw the fight, the blood … and so forth … who in a jury – in the absence of any evidence of a body, in the absence of Sue being seen by anyone, in the absence of any evidence as to any witnessed act of killing, in the absence of credible motive, in the absence of any weapon… blah blah… who … what juror could have / would have … found her guilty beyond reasonable doubt? So now, through people such as Barbara Etter, Eve Ash and Andrew Urban, but also through the input of many others (e.g. the pro bono lawyers such as Percy, Galbally and Smallwood) mainlanders are aware of this case. Here in Tas, there are many who have been advocating publicly for Sue’s release. I am heartened to see Andrew’s article, arguing that there is precedent for immediate release, given such fresh and compelling evidence. I have spent too much time in putting this comment together, which was sparked by the first comment on this thread: “DK says: April 10, 2019 at 2:35 pm”. Just at the present moment, I’d ask DK to reconsider his/her comment. We are doing what we can, day by day, the weeks and months and years. The various letters, the vigils, the approaches [QC shown the door by Premier], the constant opposition from the DPP, from the police, from some in the legal profession and so forth. That’s probably enough for now, Andrew. My last proposed for Tasmanian Times article (a ‘heads up’ on the progress of the Neill-Fraser attempt for a second appeal) was refused by the Editor, Lindsay Tuffin, on the grounds that publishing anything here in Tasmania was akin to entering a “legal minefield”. It was not the first time that he had refused me in matters concerning Neill-Fraser. DK: we need real people with names to stand up and be counted. Andrew (and many others) has been doing it. He perhaps risks the wrath of the Tasmanian Supreme Court – yet he publishes here. I am amazed at his output. Thank you Garry – I am very happy to stand up and be counted and as such I have included my details. It saddens me that you have been unable to get an article published as this again goes to trying to keep the Tasmanian public unaware of all the support for Sue. I just wish I could do more as I am frustrated by those who have dug in their heels!!!! Anyone interested in this case at a serious level should read that Trial Error Report by Sangha & Moles linked above. An excellent read that blows this wide open. Clearly the barrister acting for SNF did not have the skill and acuity shown by those two authors in describing the numerous miscarriages of justice which occurred at her trial. Had those issues been raised and objected to at the time, I do not believe she would have been convicted. Lets hope the appeal team are much better than the old trial team. This case is a shocker, but then, the wrongful conviction cases always are, arent they? That shouldnt be an issue really, but it does make you wonder whether fraternal friendship does lead to compromise in any way? I am unconvinced that SNF’s legal team have her best interests at the forefront. Not sure if this is a new legal team but the original team did not put up much of a defence at the initial trial. If they have Sue’s interests at the forefront, they would be jumping on all of the above and strongly advocating with the Tasmanian DPP for the conviction to be overturned and an acquittal be entered. Would a load of letters to the DPP help and make a difference Andrew? Not in a position to comment publicly on anything is a cop out – someone needs to be commenting publicly in Tasmania. I believe Sue’s team is doing the best they can and largely Pro Bono. It is the system at fault. Easy to gaol. Hard to get out. Sue has a new team. Hmmm, if any journalist trying to get a piece published in Tasmania is turned down, then there is bias on many fronts. It then only leaves the biased (& lacking in knowledge) ones who continually beat the ‘SNF is guilty’ drum, & get away with it! If they actually happened to just read the transcript – nothing else – they would realise their continuing error. It makes me wonder if any of their work can be believed? Yes, people can be subjective & emotive about this case – it’s a shocker and, had the previous AG lived, am sure it would have all been overthrown and overturned by now – but just being clinical, looking at the facts & the evidence (?) – it’s a no-brainer…& SNF should have been released this week – at the very least! !